It’s been a long time since hubby and I have last dined at Racks, one of our favorite restaurants when we officially became a dating couple. Our favorite then was Pork Knuckles, but they already removed it from their menu. We were finally reunited with Racks when we went to SM Megamall last October. 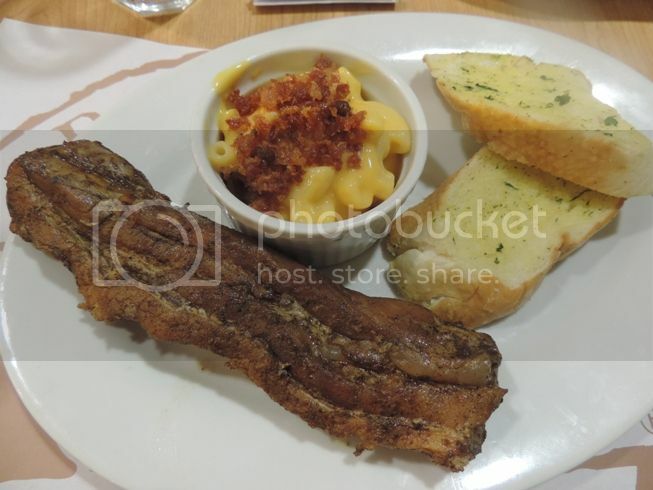 Here’s a list of what we ordered: Racks Premium Boneless Pork, Carolina Gold Pork Ribs and Carbonara. Hubby’s order was Racks Premium Boneless Pork. It’s all meat and no bones, so you’ll surely get your ultimate rib fix. It’s tender and meaty, too! It came with 2 pieces of garlic bread, steamed rice and Mac & Cheese. This one’s for me. Carolina Gold Pork Ribs is a new item on their menu. These are slow-cooked pork ribs basted with classic South Carolina mustard barbecue sauce and served with Carolina-style slaw (which has vinaigrette), Mac & Cheese and slices of Cornbread (soft and delightfully sweet); I had steamed rice, instead of Mac & Cheese. This dish is quite expensive, but it’s really worth it! The ribs were tender, moist and flavorful. The mustard barbecue sauce made it even more palatable. When hubby tasted it, he said he should have ordered it, too. Lol! This Carbonara was for our 7-year-old son. 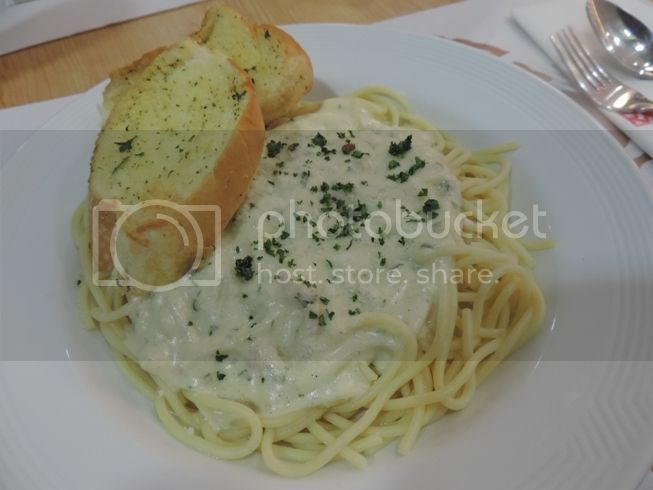 This is spaghetti with creamy sauce, sprinkled with parmesan cheese and parsley. He liked it! It was a delicious dinner for the three of us. We went home full and satisfied, and we will surely come back to Racks to try their other appetizing dishes and yes, to get a repeat order of their Carolina Gold Pork Ribs. I just can’t get enough of it! 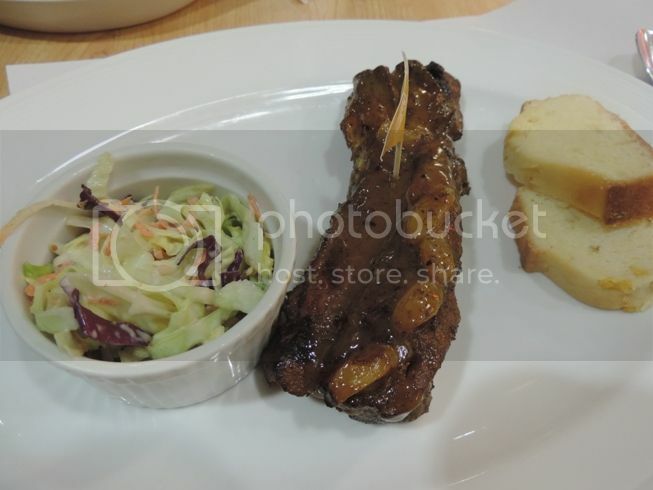 This entry was posted in American Cuisine, Food Friday, Food Trip Friday, Racks, SM Megamall. Bookmark the permalink. All meat and no bones sound good to me! It’s been years since I’ve visited Racks. These look like new dishes. Gosh, the last time I ate at Racks was when I was still a little kid! It’s been more than 10 years! Haha. The dishes look so good though. I’ll definitely stop by one again one day!